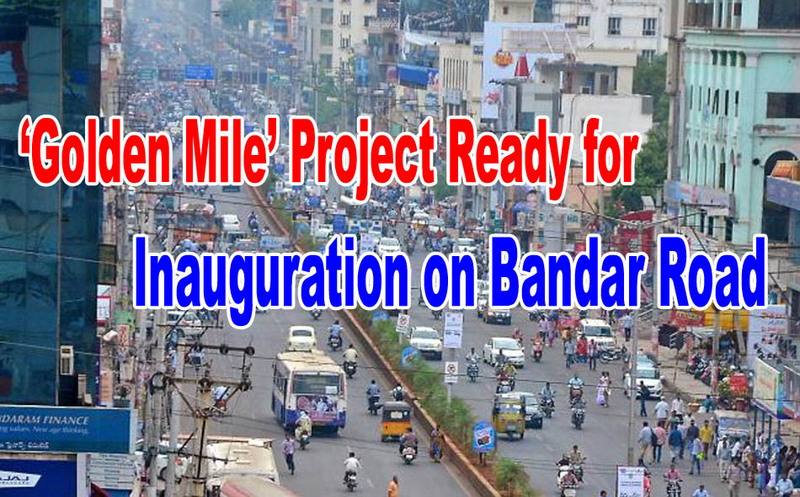 The Golden Mile project, is all set for Inauguration on Bandar Road in Vijayawada. The project purpose is to make M.G. Road into a smart street. This is a pilot project of the smart city initiative of the State government and once it is success, this would be implemented all over the state. Cisco India Ltd and its partner Quantela, are handling this project in Vijayawada. The project includes full-fledged electronic surveillance, smart kiosks at public places, digital classrooms, smart transport, environment watch, smart parking on Bandar Road from Control room to Benz Circle. There are 100 surveillance cameras, four are smart enough to calculate the density of traffic in a particular stretch of the road. There are 33 access points through which free WiFi will be provided. Also there are two smart kiosks set up in the PVP Square Mall and the Trendset Mall, where people can make online payments of taxes and view information related to the Vijayawada Municipal Corporation.